This FREE offer is only available for a limited-time. 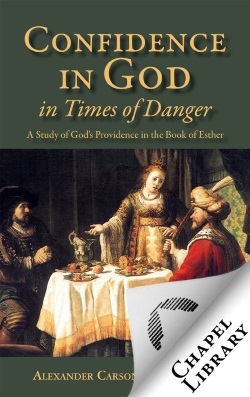 Confidence in God in Times of Danger is a passionate explanation of God’s workings in the Book of Esther. The author moves from Biblical insight to practical application in the lives of God’s people today. When the times are turbulent and filled with all manner of possible dangers, the great God of the Bible is in control and can be trusted completely.